Sandusky History: Do You Remember Vacationland Stamps? 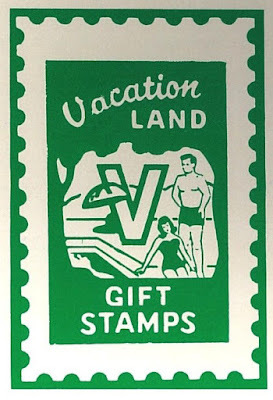 Do You Remember Vacationland Stamps? In 1976 the value of a book filled with Vacationland stamps increased to $4.00. 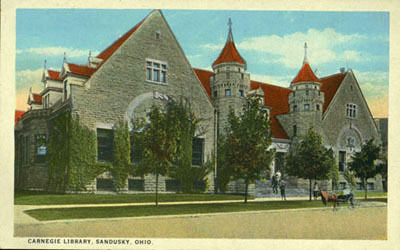 Though the stamp program no longer exists, hundreds of thrifty Sandusky shoppers once enjoyed the savings they earned when they shopped at stores that gave and redeemed Vacationland stamps. 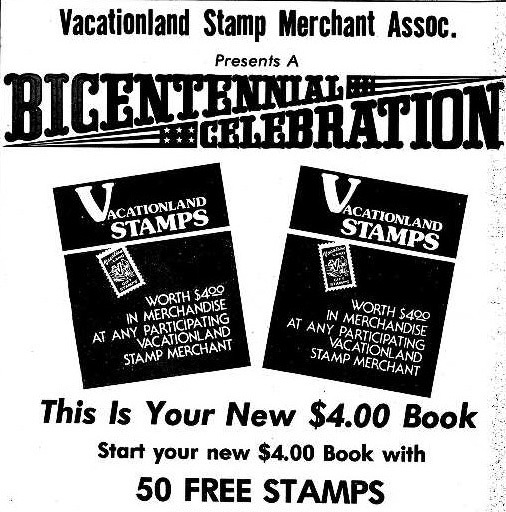 I remember my mother giving me the stamps and letting me lick them and stick them in the pages of the stamp books. We were so excited when we filled a book! 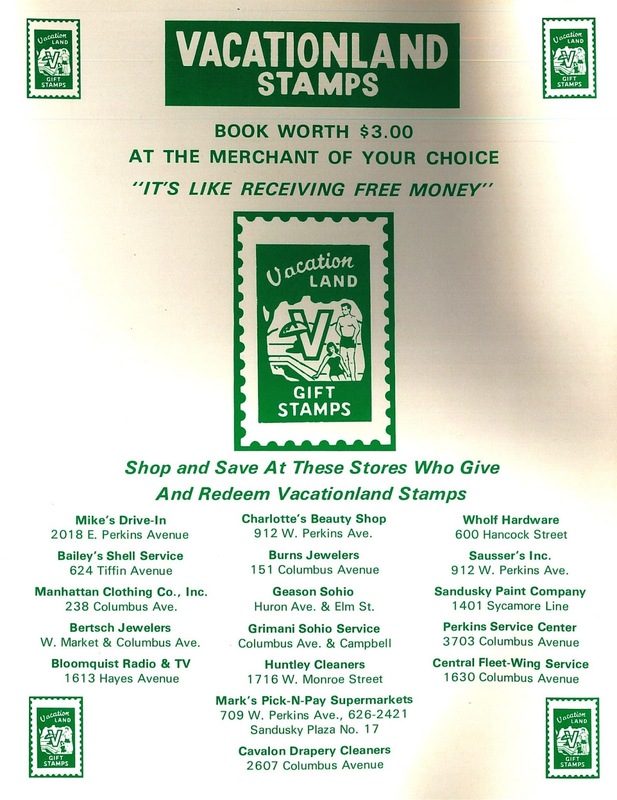 We have Christmas gifts that were purchased with those stamp books, back then $3 and $4 went far and with a large family many stamp books were filled by my thrify parents. What a wonderful way to help citizens who shop locally earn extra for their efforts. I'm sure it helped many purchase a couple more gifts or necessities like my parents. 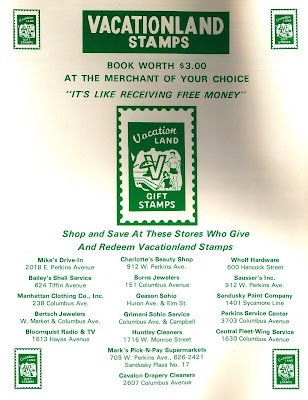 And some people who didn't want to bother and didn't need the stamps so much gave them to people, especially young families who could really use them. It was nice and neighborly way to live and a nice thing for businessed to participate in.